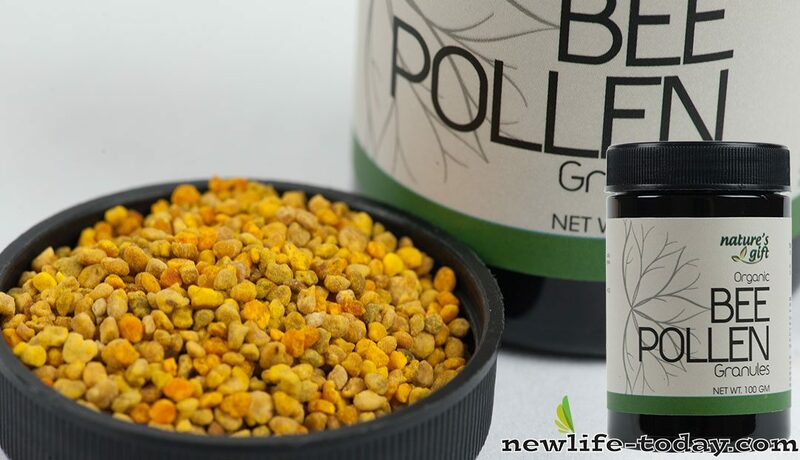 Buy this Bee Pollen Granules at RM 73.70 (20% off retail) when you become a member of NewLife International. For increased energy, 2 to 4 teaspoons daily. Start with 1/4 teaspoon, if no sign of allergies; then increase gradually. We have always admired bees for being diligent and industrious. We encourage each other to be “as busy as bees.” But have we ever wondered how bees maintain such a high energy level that enables them to work nonstop throughout their short, but extremely productive lives? What is it that fuels them? Can this super fuel benefit us as well? Everyday, a bee makes an average of 10 runs, flying from hive to flower and flower to hive as it gathers its food, honey, and bee pollen — one of the world’s super foods. Bee pollen is the main food for the young bees. It supplies all the nutrients a bee needs for growth and development. Without an adequate supply of pollen, a colony of bees would perish. It contains about 40 percent protein, along with many other vitamins and minerals. It is considered one of nature’s most complete foods, as it contains nearly all the nutrients needed by humans. Pollen is the male reproductive part of the plant. Every small grain of pollen has all of the ingredients needed to reproduce life. This means that these “tiny grains of life” are naturally rich in vitamins, minerals, enzymes, coenzymes, amino acids (protein), carbohydrates, hormones and other trace elements. Bee pollen is made from the pollen that the bee gathers from flowers. Mixing the microscopically fine powder with a little honey from her honey sac. The honeybee skillfully forms them into single golden grains or granules. When the bee returns to the hive, the pollen granules are mixed with enzymes to prevent germination and to metabolize them for food. Each golden granule of bee pollen is densely packed with live enzymes, vitamin A, vitamin B, folic acid, iron, zinc, rutin… and just about every nutrient that has a name. Because bee pollen contains all the nutrients needed to sustain life, it is now being used on a very wide scale for human nourishment and health. Because of its high nutrient content, bee pollen can help correct the nutritional deficiency of the unbalanced diet, which is common in our society. Bee pollen is the richest source of vitamins found in nature in a single food. Even if bee pollen had none of its other vital ingredients, its extremely high content of rutin alone would justify taking at least a teaspoon daily, if for no other reason than strengthening the capillaries. Plus it provides a high content of the nucleics RNA (ribonucleic acid) and according to researchers at Apiculture, Taranov, Russia. Bee pollen is one of the world’s oldest youth foods. It has been recognized by scientists throughout the world as a substance that can help promote a youthful feeling, build resistance to ailments, help boost healing powers and provide dynamic energy. It has been found that older people who took regular amounts of raw bee pollen “seemed to enjoy better restoration of morale, a sense of emotional well-being and actual physical health.” Doctors believe that bee pollen could help extend the life span and also create an appearance of better and healthier youth. Bee pollen in a surprising number of applications such as improving endurance and vitality, aiding recovery from chronic illness, adding weight during convalescence, reducing cravings and addictions, regulating the intestines, building new blood cells, preventing infectious diseases, extending longevity, helping to overcome developmental problems in children and much more. It is also known to protect against the damaging effects of radiation. How Does Bee Pollen Work in Your Body? There are 22 basic elements in the human body — enzymes, hormones, vitamins, amino acids and others — which must be renewed by nutrient intake. No one food contains all of them … except bee pollen. When pollen enters your digestive system, its twenty-two elements immediately start to regulate and invigorate metabolism by supplying any missing substances, such as enzymes not provided by other foods. Pollen elements then help control the destructive reaction of toxins, pollutants, and drugs. They shield the body from the assault that may cause premature aging and loss of precious years of life. As such, the pollen elements rejuvenate body cells and add more vigorous years to your allotted time. Bee pollen is, indeed, our nature’s super food! A bee must visit thousands of flowers to fill her pollen baskets. It takes a bee one month (working eight hours a day) to gather one teaspoon of flower pollen. Each bee pollen granule contains over two million flower pollen grains and one teaspoonful contains over 2.5 billion grains of flower pollen. This gives us some kind of indication of how much energy pollen can supply. This is pure LIFE ENERGY! While pure honey is a potent vitamin-mineral food, it is pollen that is preferred by researchers as a means of health building and cancer fighting because it contains a high concentration of valuable nutrients and substances not found in honey. Pollen appears to be a miracle food in the battle against cancer. Excerpt from Bee Pollen and Your Health, by Carlson Wade. Add 2 – 4 teaspoons of Bee Pollen to any beverage made with Alpha Juicer or a blender.